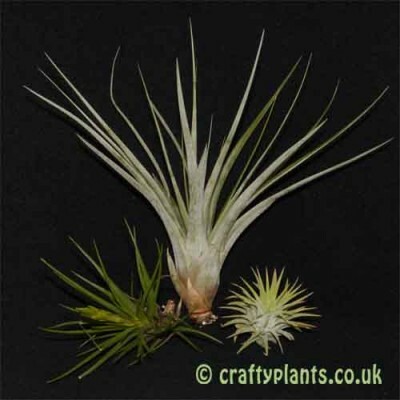 3 individually labelled Tillandsia airplants, specially selected for their forgiving nature. 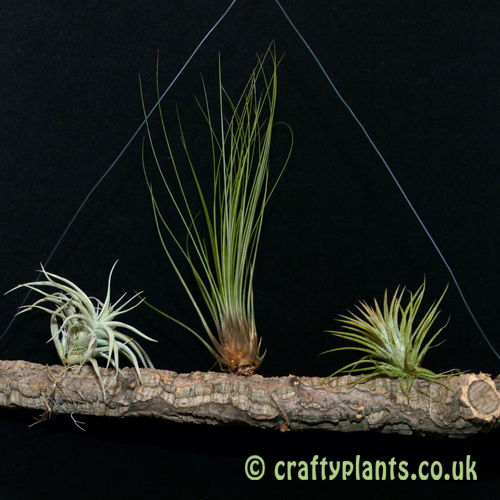 This Tillandsia collection is perfect if your just starting out with air plants. 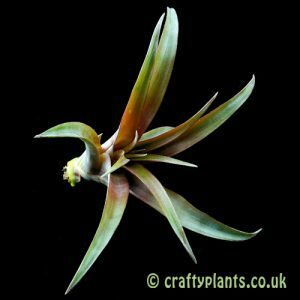 The pictures show example collections, the air plant varieties you receive may differ from those shown due to seasonal availability, but we will always ensure a good mix of 3 different Tillandsias. 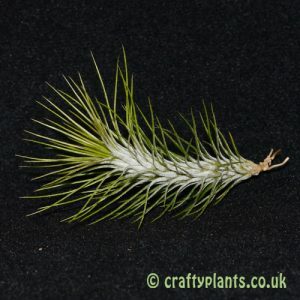 Very lovely plants. I am hooked. 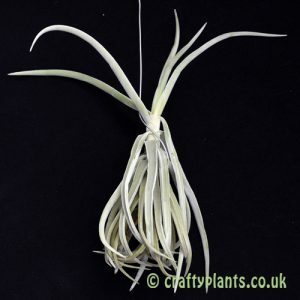 I previously bought air plants from a site with cheaper p&p. 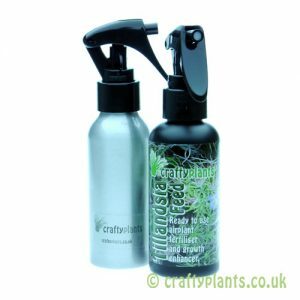 The ones from crafty plants were far superior i.e. much bigger and healthier. Better packaged too. Very happy. Keen to get more as soon as I can find suitable locations!! Again this is the second lots that I bought which was also very well packed, the plants were in very good condition and healthy. Lovely. Thanks you! Love these! 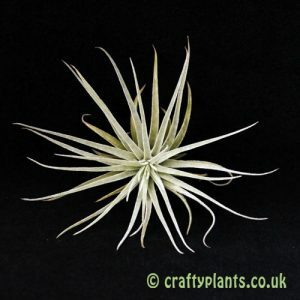 Beautifully packaged, quality plants reasonably priced. The ones I bought a doing great and one is even flowering! 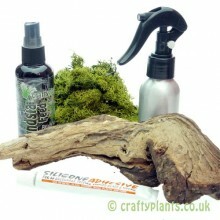 Healthy plants, lovingly packaged, well labelled.